Studio Kirby has worked closely with St Eugene’s to tailor a personalised marketing plan that meets our school needs around enrolment, promotion and retention. They have offered practical and common sense advice that works. Our recent enrolment literature and marketing of Prep has been both creative and effective. Studio Kirby has been able to develop a plan that has revised, researched and analysed our needs and offered solutions and tools to improve and create differentiation in the market place. 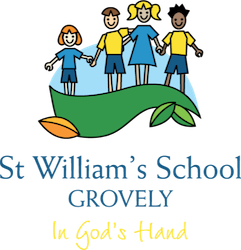 Studio Kirby worked closely with St William’s School to reboot our enrolments process and provide a fresh, contemporary approach to marketing the school. Through a personalised and tailored approach they helped us rediscover the unique elements of our identity and promote this to the local and wider community. Our prep enrolment process also received a makeover and with Studio Kirby’s help we made the process more family and child friendly. With the interviews held in the wide open space of the prep rooms, children and families were free to explore and imagine the possibilities. Studio Kirby encouraged us to move towards social media, to identify, record and post many aspects of school life that are worth celebration and promotion. Brisbane Catholic Education has enjoyed a long partnership with Studio Kirby Photography for many years. We welcome the addition of their new Marketing and Consultancy services to provide schools with strategic advice around marketing solutions. Making the most of every touch point with families is critical to retention and enrolment, therefore all marketing materials and messages should be consistent and aligned to the schools strategic priorities. Working with Studio Kirby’s Marketing & Consultancy team has provided schools with reassurance that they targeting the right stakeholders with effective and strategically positioned solutions. Studio Kirby’s advice around strategy, rebranding and creative marketing materials has been welcomed by many of our schools and has provided outstanding results.